Dr. Rajan Santosham is the Chairmen and Senior Thoracic Surgeon of the Santosham Chest Hospital. He is also a Senior Consultant in Thoracic Surgery in Apollo Hospital. 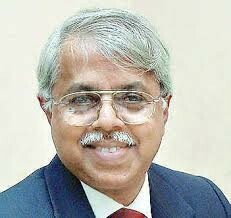 He did his MBBS in 1970, MS in 1974 and M.Ch Thoracic surgery in 1977 from Madras Medical College. He entered the Madras Medical College as a student and retired in 2005 as head of the Department of Cardiovascular and Thoracic Surgery of the Government General Hospital. Rajan Santosham, who specialized in thoracic surgery, fed his interest in this field of surgery despite his exacting schedule at the G.H. Dr.Rajan Santosham is a member in 17 professional bodies the world over. Among his achievements is the lifetime achievement award from the Indian Association of Bronchology and admission as fellow to the European Society of Thoracic Surgeons and to the Royal College of Surgeons of Edinburgh. He has trained many surgeons and pulmonologists and conducted workshops in bronchoscopy.